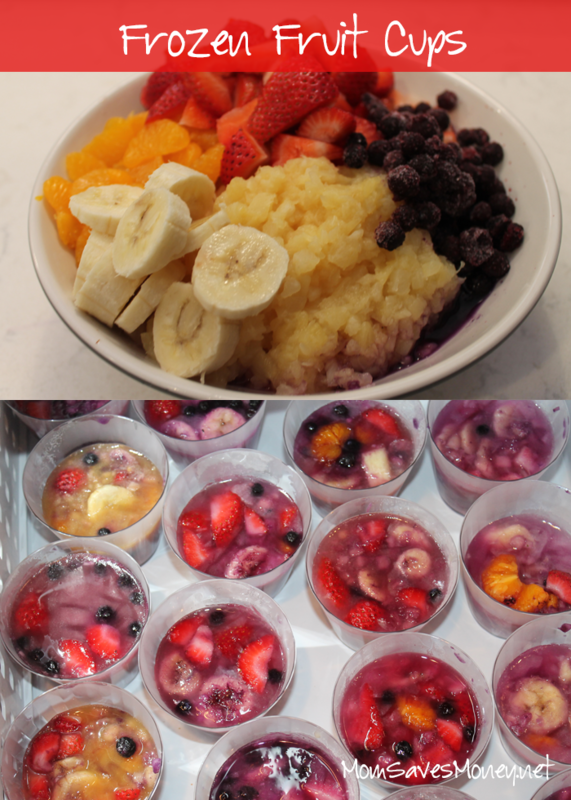 Recipe: Frozen Fruit Cups – Real, Fresh and Easy! This month: A full-time working mom of 3 boys aged 4 and under. Next month: A stay-at-home mom of 4 boys aged 4 and under, one a newborn. Conclusion: Life can be c-r-a-z-y! I don’t always have the time that I want to get dinner on the table. I don’t always have the energy to prepare the meal that I want. I don’t always have the available hands that I need to prep a meal. I don’t always plan ahead the way that I want. Or sometimes, the meal that I did have planned and started turns out to be a disaster and I need another quick plan. This is (really, it continues to be – just for different reasons) a crazy season of life. How my afternoon and early evenings go isn’t always predictable. I’m sure many of you can relate – in fact, your life might have even more time constraints than me. We haven’t really hit the ages of “outside activities” yet where there are soccer or baseball games, piano lessons, church groups, birthday parties, school programs and parties or the like. I just don’t see lives getting more simple as they get older. As I posted in my “Having a Baby? Prepare your Freezers” post, sometimes, the menu plan calls for frozen foods. Maybe a pizza like Freschetta! I mean, what’s not to love about their pizzas? They have high quality ingredients. The crust is awesome — it rises naturally (LOVE THAT!). It’s awesome sauce! And by that, I mean the sauce is awesome, having been made with 3 sun-ripened tomatoes. 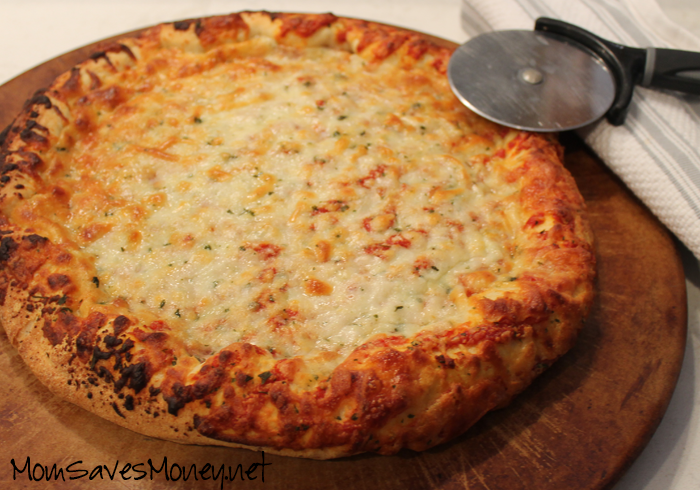 The cheese is delicious – provolone and mozzarella are just a great, classic combination. I feel good about serving Freschetta- because of those reasons listed above, but also because it’s tasty. All those things make it taste good – after all, what’s the point of good ingredients if good taste doesn’t come with it? But my boys just eat it up! And it’s easy to find in the store – being right there in the freezer aisle, making it hard to miss and easy for my husband to pick up from the store if I need him too. At my store, the freezer section is right next to the produce section, making it really close to the front doors. It couldn’t be easier! 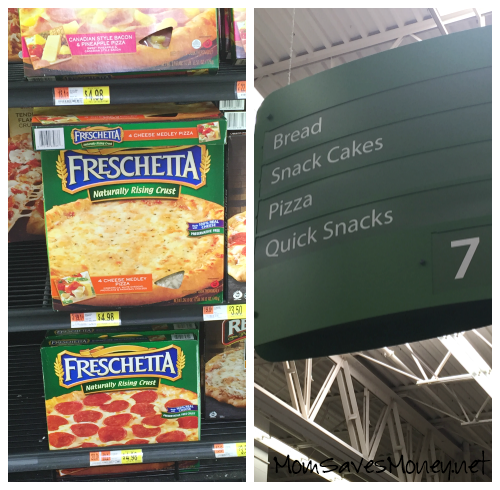 So that’s what we do sometimes – frozen pizza! 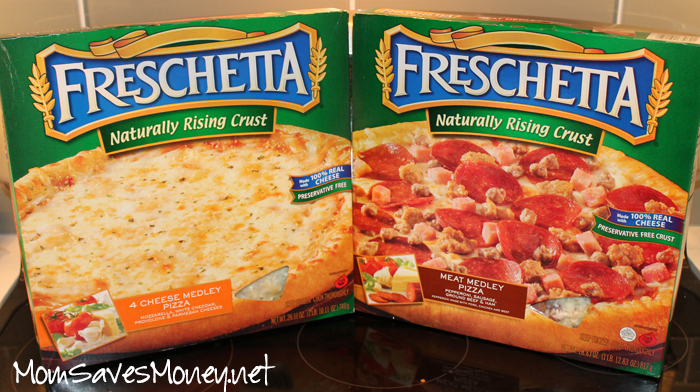 My favorites are Freschetta 4-Cheese Medley (just a perfect cheese pizza) and the Freschetta Brick Oven 3-Meat Medley (a husband-pleasing combination!). When I make something fresh & easy for the main dish, I also like to make something fresh & easy as a side dish. I usually match it up with some pasta salad that I have in the fridge – something simple and nourishing. And for an added bonus lately — these frozen fruit cups. They’re perfect because they’re just as fast as the pizza. Why are they so fast? Because they’re already in my freezer! I can make a batch of them, freeze them and pull them out as needed. When are they needed? Whenever I want! Sometimes, “whenever I want” is as a mid-afternoon snack. Sometimes, “whenever I want” is for breakfast (after all, these are simply a fancy way of eating fruit!) And some times “whenever I want” is at dinner time. When I pull the pizza out of the freezer to pop it in the oven, I just pull out a few of these and they’re perfectly defrosted when we’re ready to eat. Just like the pizza, my boys just eat them up! What do you do to make dinner quick, but also fresh when time is in a crunch? Icy, fruity and quick! 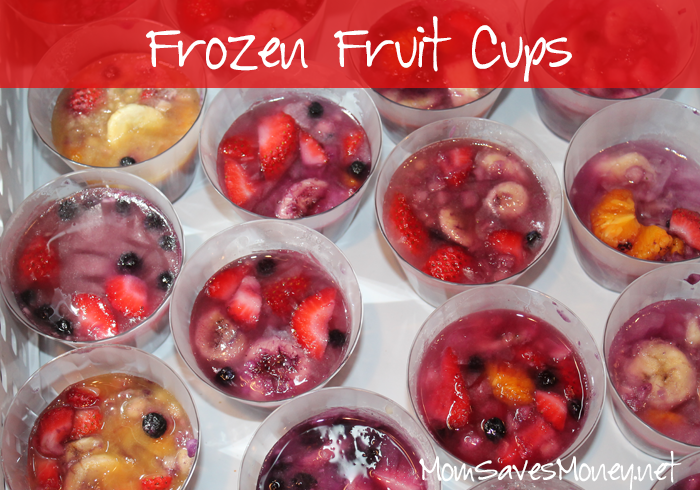 These frozen fruit cups are wonderful year round! Spoon! I just combined and mixed the fruits and then spooned into the bottom of the cups. Pour! Pour the fruit liquids on top of the fruit. Freeze! I have a french door style freezer where there is a bottom tray. I just place these in one of the upper portions until frozen. Leave them there for a few hours (or overnight), then you'll be able to serve them "whenever you want"! Serve! Depending on the size of cups you use, it'll take about 10-15 minutes before they're at a "slushy" state. The bigger the cup, the more time it will take, but you can always pop them in the microwave for a few seconds to get the process started. I didn't use any additional sugar - the fruits & liquids were sweet enough, but if you don't think they will be, you can add some sugar to the fruit mixture. I had 9 ounce plastic cups and filled them just a little over 1/2 full. I got 20 servings out of this amount. So you can easily halve or double the recipe for your needs. You don't have to follow this recipe exactly - that's what's great about it. Use any fruit that's freezer friendly. Add more pineapple if that's your thing. Leave it out if it isn't. Use some red grapes or cantaloupe pieces. I wasn't scientific about my liquids. I was using up some orange juice & pineapple juice that I had. The end result is that some of the cups got more orange juice than others. Some got more lemonade. My family loved them all!